Get ready to make Christmas magical for a little one in your life with this toy idea! We’re in the home stretch for the Christmas countdown! It’s hard to believe it’s only days away. Thanks to Mirum for partnering with us to bring you this fun gift idea! I still have wrapping and baking galore to do… and if I’m honest, a few final gifts left to buy. I love this time of year, even in all the hustle and bustle. Kids make Christmas so extra special. Even though my boys aren’t so tiny anymore, I can clearly remember the magic of their first holiday seasons. Those are some of my very favorite memories! 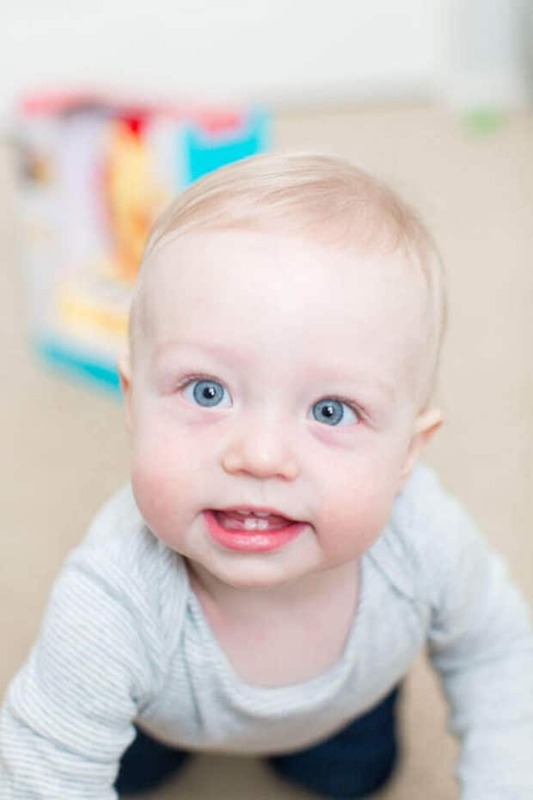 My friend Kim’s little guy Nixon is about to celebrate his first Christmas. Our families have been friends for years and I love getting to see her enjoy this milestone. 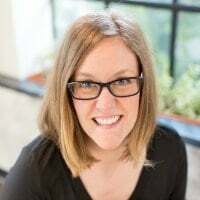 Kim left a corporate job to work at home this past spring and I know she’s loving the extra time she has with her family. Especially now that it’s Christmas! 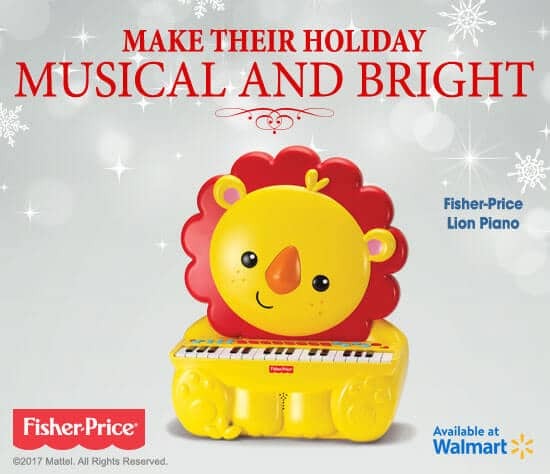 When Kim and I were talking about upcoming Christmas plans and our shopping, I suggested the Fisher-Price Lion Piano — I know how little ones love to move and groove. 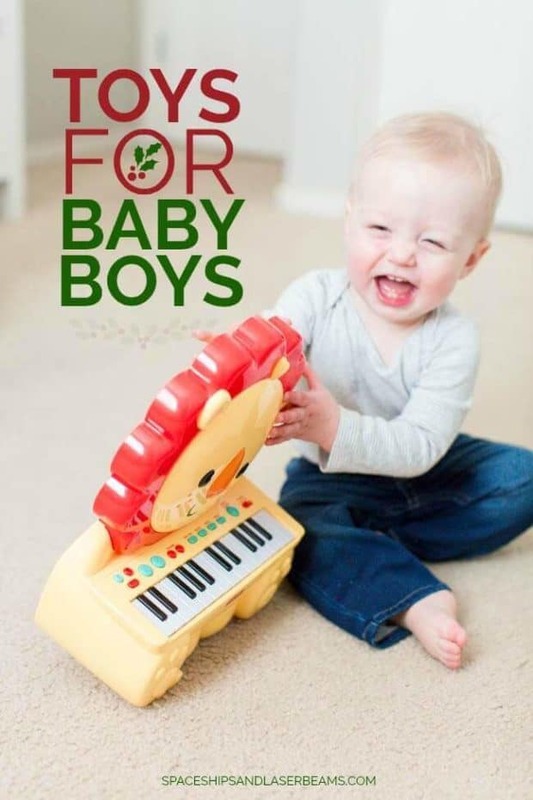 I think music is so important from an early age. 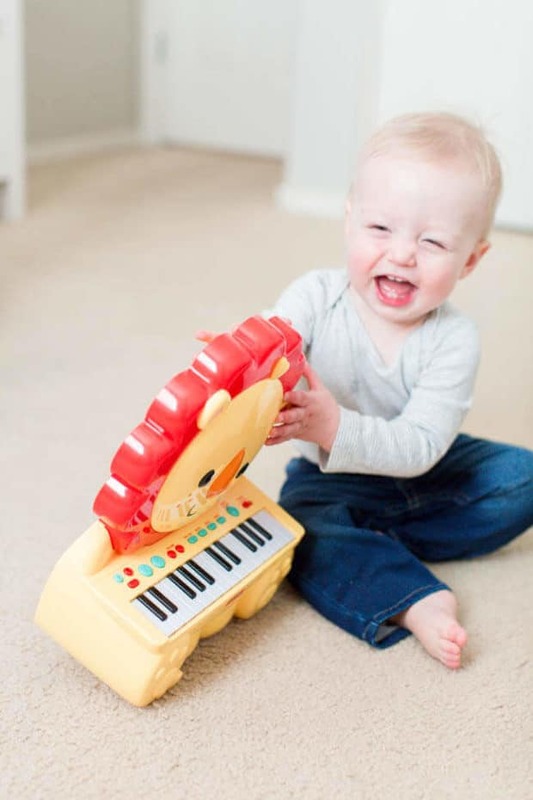 Nixon adored his Fisher-Price Lion Piano. It was the exact reaction you hope to see when giving a toy to a little one. It melted me and brought back so many great memories of my boys at that age. I just loved hearing his little giggles and laughs. It was so sweet! 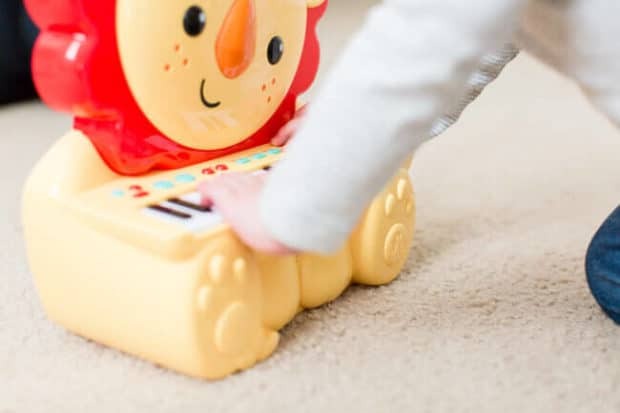 Kids are sure to enjoy hours of musical fun their Fisher-Price Lion Piano. It has 32 keys and features drum and animal sounds plus eight instruments and rhythms. The piano also plays 20 songs and has a button for demo select/demo all. 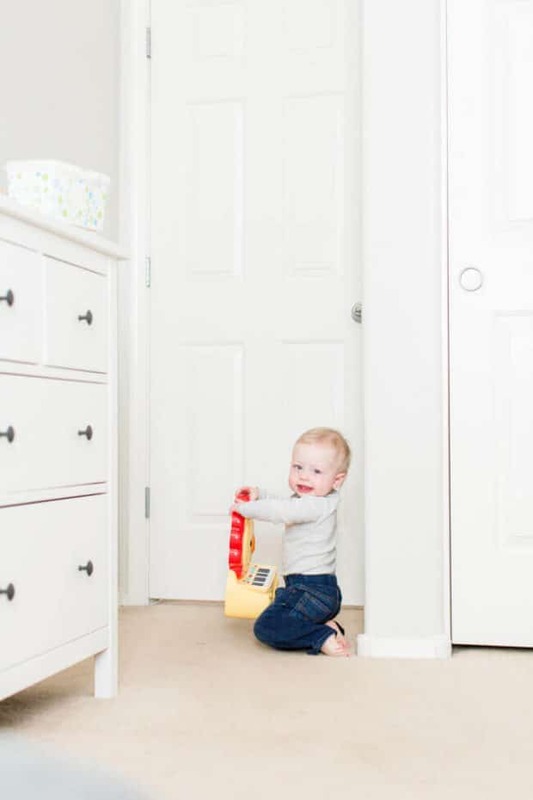 Nixon started pushing it around his room and was quickly dancing with it as well. 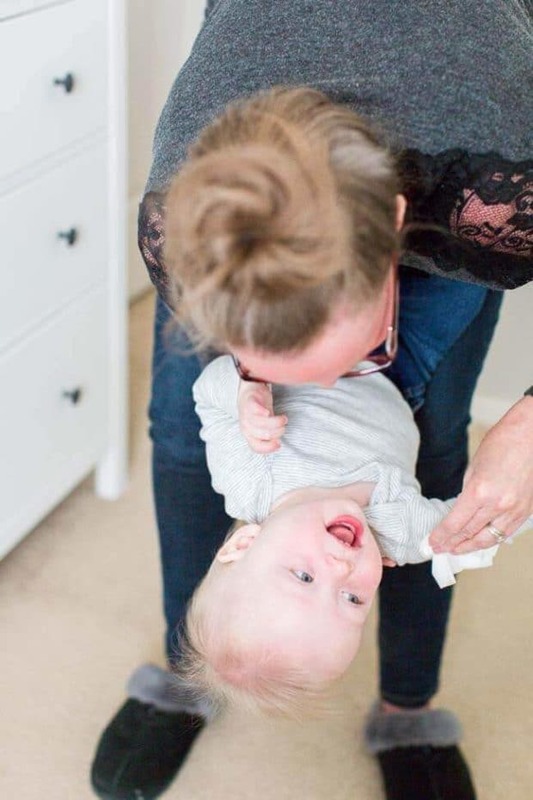 Completely precious! 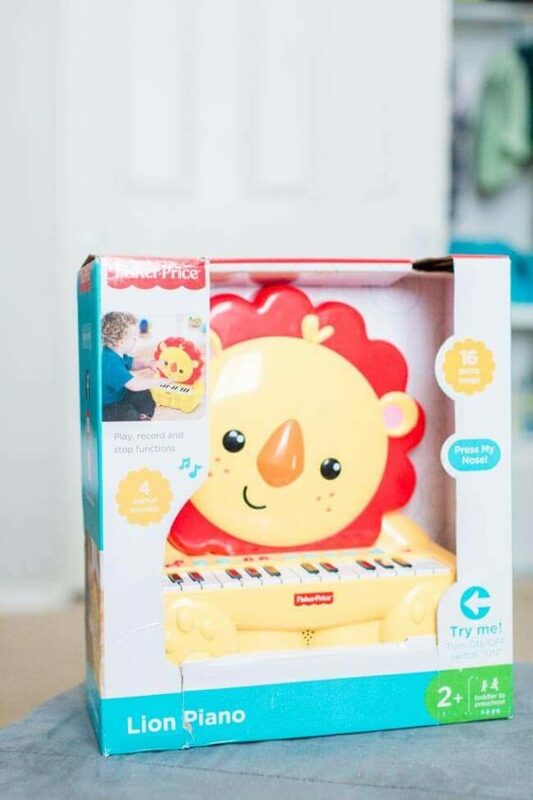 If you’re still looking for a winning toy idea to gift this Christmas, check out the Fisher-Price Lion Piano at Walmart. You’ll enjoy the concerts you receive!